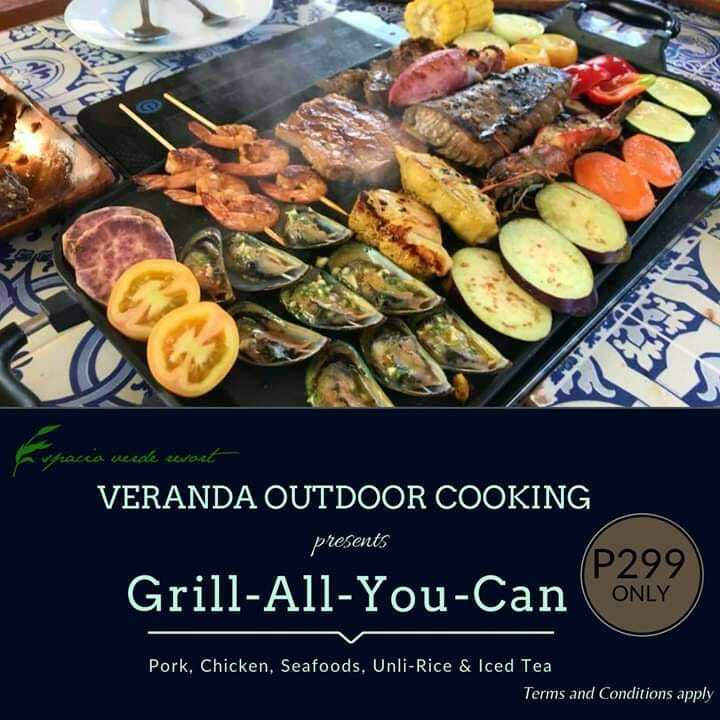 It’s Grill-All-You-Can, the hottest BBQ sessions at Espacio Verde Resort which is scheduled to launch on November 23, 2018 at its Veranda outdoor cooking restaurant. It’ll be available from Friday until Sunday from 11 AM – 9 PM. Among the selections for food choices are pork, chicken, and seafoods. For table reservation or inquiries, contact +639173739596 or +63 (036) 620-3734.